Lumber Liquidators responded following the story basically saying that the testing methods used by the show are suspect and are a direct result of short sellers trying to manipulate the stock and that they stand behind their flooring. They promised a further response by March 12, 2015. The situation in one way is pretty clear. The short sellers of the stock are funding this investigation and it’s no surprise that the results support their short positions. There should be an investigation that confirms the testing methodology. Tests are a lot like statistics. They can be twisted to make almost any result plausible. Which calls back to the famous quote from Mark Twain: “There are three kinds of lies: lies, damned lies and statistics.” It is possible that tests were manipulated. Of course if the tests were complaint with the rigid standards which are clearly documented by the California Air Resources Board which is now the national standard then LL has a big problem and a potential nationwide recall on it’s hands. Furthermore the report has hidden cameras that supposedly show the factories that are used by LL admitting the CARB information on the cartons and they allege what is represented to the customers by Lumber Liquidators on the cartons is a lie. Of course they did not really show the faces of the factory people for the most part when they were making these claims so it’s hard to say what actually was said or what context these allegations were made. The factory footage can be viewed as very damning based on how it was presented, but it is possible that they will be more clear UN-HIDDEN camera footage of those same people at the factories who tell a more complete story. This blog has talked about the dangers of formaldehyde for a long time. And it is very common for Chinese factories to try and use cheaper core board material which has higher levels of formaldehyde as a method of cutting costs. There is no defense for any company who knowingly breaks the rules and endangers customers. But, assuming the tests are accurate and properly done and do represent dangerous levels of formaldehyde the real question is did the company ask for that to reduce costs or did the supplier switch the material to lower their costs. This is a vital part of the equation. It doesn’t change the need to remedy the situation for consumers, but it does reflect about a company and it’s core values and it’s own future. Traveling in China to source materials is something that anyone can do. And it is a common practice for the factories to tell you what works best for them. There is unlikely ever to been a situation where the factory says, “Hey – why not pay a little more and make sure you hit this particular safety standard?” In fact the idea that the factory will hold the buyer to rigid standards is laughable. In almost every case the factory assumes the buyer wants the cheapest price and will be a proponent of getting to that cheaper price by using shoddy materials. The report from 60 minutes was not entirely in context. We don’t know what the conversation was before or after. We only know that the factory alleges LL materials do not meet Carb 2 standards. Without viewing the entire tape that shows the context of the conversation it is difficult to draw a conclusion with certainty. If the factories really are shipping products that fail to meet the standards it is almost certain the LL will sue the factories and make claims against them for violating the written specifications which are part of the Lumber Liquidators purchasing process. Although getting recovery from Chinese firms may be difficult it is likely that LL requires the factories to carry product liability insurance. These policies are typically backed by North American or Global insurance carriers like CHUBB or AIG. These companies would have a significant potential loss on their hands if this is true. If the factory can prove the Lumber Liquidators buyers are the one directing these changes to specifications and can illustrate that in writing they will not have any liability, but Lumber Liquidators will have a massive potential product recall problem. It is not without precedent for buyers who may be get bonuses based on sales and on margin to try and engineer a lower cost. There is also the possibility that the factory offered to grease a couple of the buyers or inspectors directly to turn their head when it came to the specs so that the factory could save the costs. Even if this is the case the company is still fundamentally responsible for the behavior of it’s buyers. If this story is true is is absolutely disgusting. However, there should be a review of the facts to be sure that the story checks out. Regardless of the specifics of each story consumers have the right to be concerned about these issues. The government in the US created laws to avoid these exact problems. The Lacey Act in the US is designed to prevent companies for importing illegal timber and to insure that they have a good chain of custody. Companies like Lowes, Home Depot and Lumber Liquidators are all responsible to comply with those laws. The problem is that some Chinese companies will fake the paper work. There are countless sources of illegal timber in China and those wood products often find their way to the USA despite the laws. The purchasing paperwork from Lumber Liquidators will undoubtedly show that they required the factories to produce products according to the legal specifications. Unless the buyers left a paper trail giving the factories permission to alter the specifications the factories will have a lot to answer for. Of course they are largely out of reach of US consumers, but you can absolutely bet the scrutiny of those factories will be at an all time high for all companies that source in China. Too many times companies just assume the factories are in compliance when they are not. From a big picture view it would be a mistake to take what 60 minutes says as pure fact. It would also be a mistake to assume the company’s position is proper without getting transparent answers. Fundamentally the 60 Minutes story raised more questions than answers. It is now incumbent upon Lumber Liquidators to do their own investigation and come out with whatever the true story is – even if it hurts them. It is possible that 60 minutes was manipulated into doing the story by unethical short sellers and the future story is how 60 minutes got taken for the fool and how Lumber Liquidators seeks it’s restitution. If their results stand up Lumber Liquidators will have to focus on fixing the source of the issue and then resolving past problems. It will be messy and costly. In the long run there should be little doubt that LL will survive this PR disaster even if the worst of the story proves true. In the short run there will be lots of pain for the company, it’s employees and it’s customers. In a year from now it seems very likely that the company will be almost fully recovered, the stock will trade north of $60 and perhaps a lot higher and this will be a bad memory. The company should be a better company as a result of this pain. The other part of the story here is that Lumber Liquidators is not alone. There are countless US companies that important Laminate from China. There is no reason to assume that this formaldehyde situation, if it exists, is limited to one single company. The fact that 60 minutes claims it also tested some Chinese laminate from Lowes and Home Depot and those passed is not a full picture. Some companies intentionally break the rules to drab higher profits. This is essentially what 60 minutes is accusing Lumber Liquidators of. There are many companies in the USA and elsewhere that don’t always do the right thing. Canada the problem is far worse in terms of formaldehyde exposure. Canada does not have the CARB requirements and the factories are regularly using low grade core boards. Canada you need to protect your citizens by adopting similar standards to the US! And finally in a bitterly ironic twist consumers should be aware that by pulling up their flooring they actually can cause more of a problem than by leaving the flooring intact as it was installed. The biggest problem with formaldehyde is when it is released into the air. Even if the results prove that the product has levels of formaldehyde that are too high, which is still up for debate, the PROPER way to remove it is the immediate next point of discussion. When consumers chop up their flooring and cut it up into little pieces all of the the core material that is cut or disturbed can go airborne. All of that dust is a potential carcinogen. 60 Minutes should have warned customers that before they panic and simply start sawing into their floor they should consult with a specialist about how to deal with the problem. This is similar to asbestos abatement concepts. When the asbestos was used in flooring in the 50’s (called VCT) the problem was encapsulated and not a major health concern as long as it remained intact. However, if the VCT was removed that is when the problem could go airborne and create substantial health risks. If CBS was interested in helping customers as opposed to using scare tactics they should have warned customers that they could actually make the problem worse by tearing it out without following good procedures to avoid exposure to the airborne contaminants. There are plenty of good companies in the USA that do the right thing. There are lots of good factories in China too. There are good people who do the right thing at both the factories and domestic companies. The tricky part for the consumer is finding someone you can trust that will guide you through the floor buying process and not leave your house with cancer causing chemical emissions. The opinions herein are our own opinions. 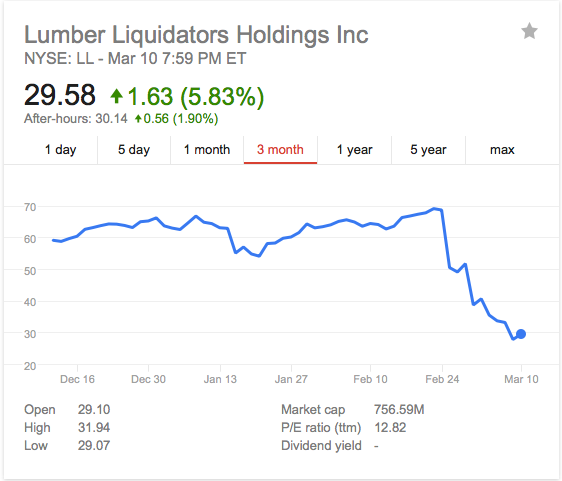 We have no stock or positions in Lumber Liquidators. The housing industry is finally on the way back up after years of saying it was only months away from recovery. Along with that the flooring industry is also gaining steam. One need to look no further than Lumber Liquidators stock price (NYSE:LL) to see how the positive results and optimistic view of the company suggests alot of growth and opportunity still in the market. There is another private company that has even more promise than LL (which is a great company either way). When this company decides to go public it will be a major major move in the market. Flooring is a big ticket item and therefore alot of big companies are chasing this marketing, but so far it is still dominated by independents. Although that has started to shift toward bigger national chains at this point. Can independents fight back? Yes they can. There are a couple winning strategies against the big companies including Home Depot, Lowes, Lumber Liquidators and other mega chains. The real question is will the independents take the risks necessary to win in the future? This is a quick review of some iPAD covers that are the best available and you can buy online at Amazon US or UK or directly at http://www.apljus.com, however, the prices from Amazon seem to be generally lower and available with Amazon Prime. That lower price + amazon fulfillment are a winning combination for any savvy shopper who is considering what is the best tablet case or cover for their device. When you open the package and see a top notch product you feel immediately relieved and happy that you got the right deal. Click through the item(s) below to see the bigger and better images on Amazon. The little icons below don’t do justice to the products. The is the basic cover for the low price good quality. There are tons of cheap covers in this world and our reviewers have used and tested many of them. Some of them fall apart with moderate usage within a month or two(some even less!). Amazon itself is chalked full of cheap offers from Hong Kong, China, etc… where they charge 10 bucks for a cover and free shipping, but we have watched those disintegrate within a very short period of time. After waiting 2-4 weeks for the magical iPAD fairly to deliver your “great deal” you hope something good shows up. By the way if you have a problem with an overseas company you may as well start praying because it will take alot of divine intervention to get them to care about you. For an extra few bucks why not skip the headaches and buy local from an AMAZON prime merchant? And when you are protecting such a vital product like an iPAD it makes sense to step up to a level of quality you can have piece of mind with. The high quality white contrasting stitching combined with a nice feel on the PU leather make this a terrific value. With amazon prime you will have it as quick as you can wish for it as well. This fits the iPAD 2, 3 & 4 models very well. iPAD UK <— Same basic cover at a great price, but available on Amazon prime in the UK and quick deliver all throughout Europe. Coming in at number five we can see that price is important, but to step up from basic with all important carrying strap is worth the extra few bucks. There is no doubt that having the high quality hand guided stitching with thick gauge contrasting thread adds a great look and feel. But the oversized hand strap is VERY handy to have for lots of reasons. If you are taking notes, sharing a screen, or just trying adjust your iPAD to show a different view the very durable and well made hand strap will give you the chance to have all of these features right now. ipad mini – The same exact cover design with the hand strap is available for iPAD mini in the original Black as well as Pink and White. The colors are a great option, especially for kids. iPAD Mini UK – Same iPAD mini options as noted above, but for the UK and Europe. What is smarter than the APPLE smart cover? The APLJUS origami cover with more positions and a better feel not to mention a lower price. The strong magent at the side does a great job of grabbing hold of the iPAD. The durable top will protect your screen. Some people prefer to buy a silicone backer for this so that the back of your iPAD is covered too, while others want to let the beautiful back of the iPAD speak for itself. The versatile design gives you more option than the smart cover. In fact you get double the viewing options for half the price. That’s math we can all understand. The inner structure of the panels is very high quality compared to some knock offs that are inserting card board rather than very durable resins. Rotating is a great feature for flexible viewing. The 360 degree rotator allows the iPAD to snap into a protective plastic case and then rotate freely in a circle until you find the best spot for you. The deep grooves in the case also allow very stable viewing once you have found just the right position for your iPAD. Once again you can feel the difference between cheap knock offs and high quality. The feel of the PU leather has almost a cushioned feel to it and the interior has the feel of a nice velvet. Everything about this case indicates a high quality look and feel. Plus as you rotate the beautiful APPLE logo shines from the back just as Mr. Jobs would have intended. This really has a tremendous look and feel and is well worth the upgrade. For fashion forward executives (in other words those with taste) the rotating option is cool, but often takes a back seat to design. And so the belt buckle style with an easy snap action was born. This high styled design has the cool and unique look of the belt buckle, but the whole buckle snaps or unsnaps with a very high quality feel to keep the access to your beloved iPAD quick and easy. The PU leather on this case feels better than most real leather cases. It is soft, supple and the contrast of the belted look make this a beautiful addition to any board room. The pictures don’t do it justice since we have reviewed it in person. You have to try it out to see how incredible this design is. The best case for busy people on the go who need to maximize the power of the iPAD is a high quality case with a blue tooth keyboard. The keyboard really multiplies the power of the iPAD in a meaningful and immediate way. The high quality silicone keyboard is water resistant and you can really feel the difference between it and some of the plastic competitors out there. If you are looking for a gift for father’s day, mother’s day or just want to make someone feel like a CEO while they are rocking their iPAD this case will do the job. The high end PU and incredibly detailed stitching really let you know you have reached the top. This is by far the most productive case, while still combining excellent safety for your iPAD as well. Just do it! UK APLJUS with keyboard – This is the same executive styled iPAD case with built in blue tooth keyboard for the European market. We have reviewed cases from many different brands of iPAD cases and ipad mini covers including thesnugg, kensington, griffen, cheap chinese crappy cases (not a brand – more like a category) and many others. APLJUS was the clear winner in terms of quality and price. They need more colors and devices to be covered, but there is no doubt the quality is what will carry this brand forward. As early as 5,000 years ago, the Chinese used bamboo for warfare, construction, and paper. There are more than 400 species of bamboo indigenous to China which grow in greater abundance than in any other area of the world. All of them grow quickly and provide plentiful building material. 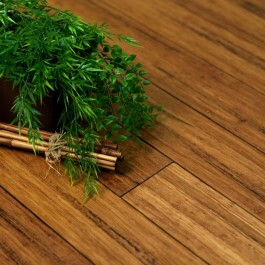 Bamboo’s first international appearance as a flooring product was in the 1990s. It’s popularity has grown through its reputation for durability and the idea that it’s the green choice for floor coverings. Today, beauty and durability makes bamboo flooring a popular choice, preferred by some for its fast growth vs old-growth hardwoods that can take 30 or more years to mature. The majority of today’s bamboo flooring is made from the Moso species of the plant, using only a few different manufacturing techniques. Solid bamboo flooring is made from strips of bamboo arranged either with their widths either parallel (horizontal construction) or perpendicular (vertical construction) to the floor and compressed with adhesives to form uniform floor boards. If you look carefully, you might be able to see the individual strips and the seams between them. Strand bamboo flooring is manufactured with individual strands of bamboo that are pulled from bamboo stock rather than cut as uniform strips. The strands are compressed together with much higher pressures to form floor boards. Strand bamboo flooring uses less adhesive than solid and assumes a variety of textures depending on strand lengths and colors used. There are more reasons to like bamboo flooring. It is physically similar to hardwoods and is promoted for its strength, moisture- and insect-resistance. Whether it is eco friendly is debatable as is its durability. Ie. 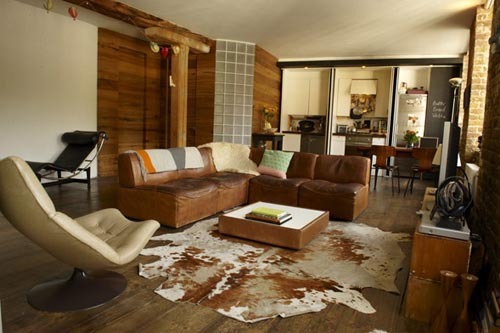 It depends on which manufacturing process and which hardwood is being compared. Carbonized horizontal hardwoord flooring earns a Janka hardness rating of 1180, while some strand bamboo products reach 3000 and more. Red oak’s hardness is in the lower range for hardwoods with Brazilian Cherry at 2350. Some cautionary notes. Like any product you may purchase for your home, quality varies with manufacturer. A poor quality bamboo flooring product can warp, cup, de-laminate and discolour. Do your research to find products that have a good reputation. 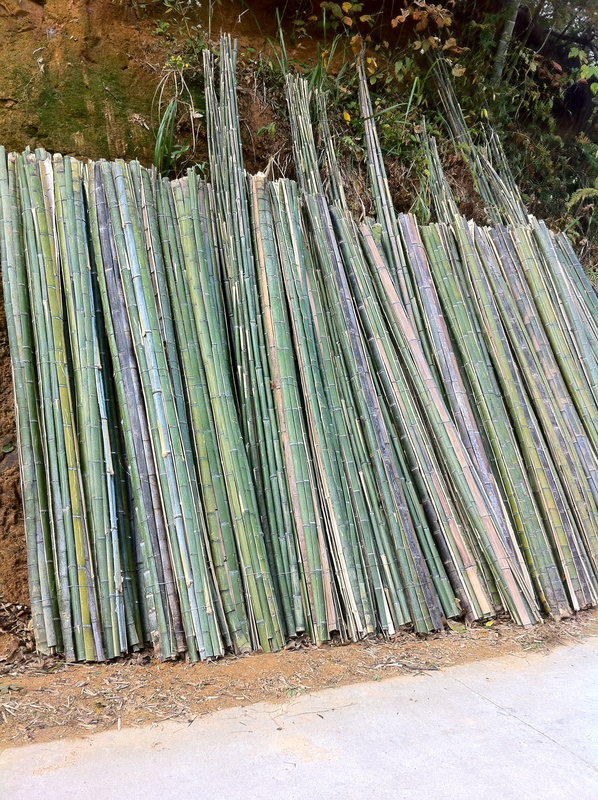 Aim for products made with bamboo no younger than 5 years old at harvest. Kiln-dried is a better value as are no-formaldehyde and solvent-free finishes. bamboo, Do-It-Yourself or Hire a Pro?, installation, What Floor is Best for My Project? Bamboo flooring is now extremely popular and can be found in a ton of different styles and finishes. People all over the country are now installing bamboo floors on their own, and it’s never been easier to do. bamboo, cork, hardwood, laminate, Vinyl, What Floor is Best for My Project?